My name is Barbara Saldivar. I am the State Director of Concerned Women for America (CWA) of Kansas. CWA is the largest public policy women’s organization in the nation. I would like to thank you for allowing this opportunity to share our support of SB 85, Simon’s Law. As an organization committed to protecting both the sanctity of life and families, we support the language within this bill requiring parental consent before a do-not-resuscitate (DNR) order is issued by medical professionals. It was encouraging to CWA members last year when the Senate vote 37–3 in favor of this bill. The bill guarantees that it will be the parents who make the final decision for a DNR order. It defends children with special needs from negative “quality of life” assessments and protects life-sustaining care for critically injured children when a parent is not yet in the hospital. 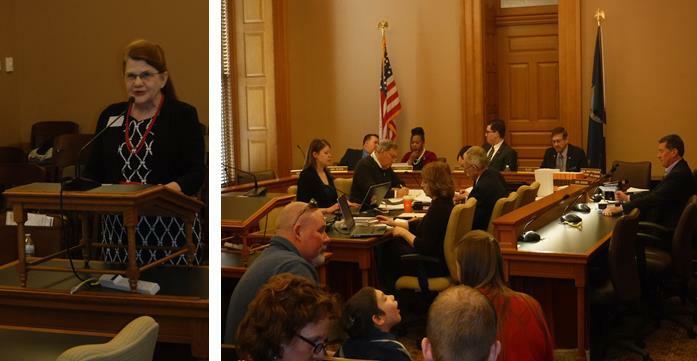 Simon’s Law adopts long-held Kansas guardianship law for recourse to court process to secure life-sustaining treatment. Please vote in favor of families who face decisions that only they can make. Vote “yes” on Simon’s Law.